Between 1978-1982, I was going to college at Cal Poly in San Luis Obispo, CA. I was taking computer science. 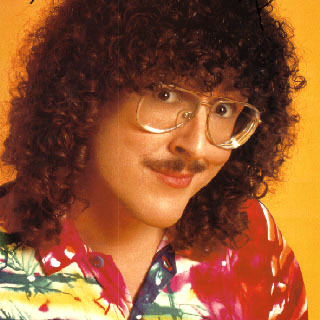 Al Yankovic was taking architecture and just starting his musical career. He had recorded My Bologna and Another One Rides The Bus, and was a DJ on campus radio. We didn’t know each other. The guy smiled and said, “Yeah, Al’s gonna want to see this.” He turned right. “Hey, Al!” And he stepped back to let me inside. That’s all I remember. I bet Al would remember this, but it’s unlikely I’ll run into him anytime soon.